​The Biennale sculpture WOW by Jose Resende was the subject of an artists challenge….interpret the massive metal shipping crates in fabric. While working on the 20” challenge piece, the idea of putting the geometric sculpture into geometric piecing kept floating around! I drafted a proportional rectangle block and slowly figured out how to assemble them. 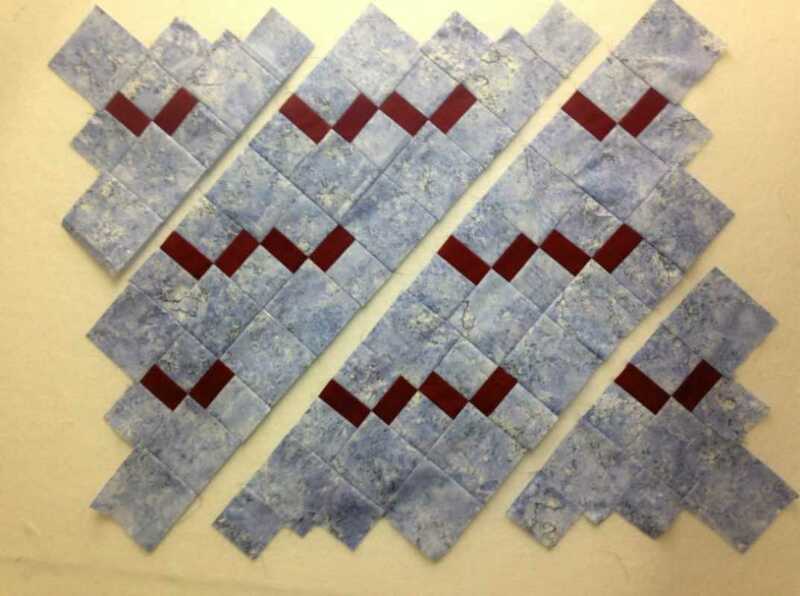 It was fun to go back to my early days teaching beginning quilting and making a few geometric quilts. The balance and precision are mesmerizing/meditative. The final image, warm colour floating on a cool sky, created the surreal feeling I was looking for. The delicately balanced sculpture looks like it might take wings. The flying W’s remind me of the flocks of cormorants, Canada Geese and other birds that seem to use the river as a highway. 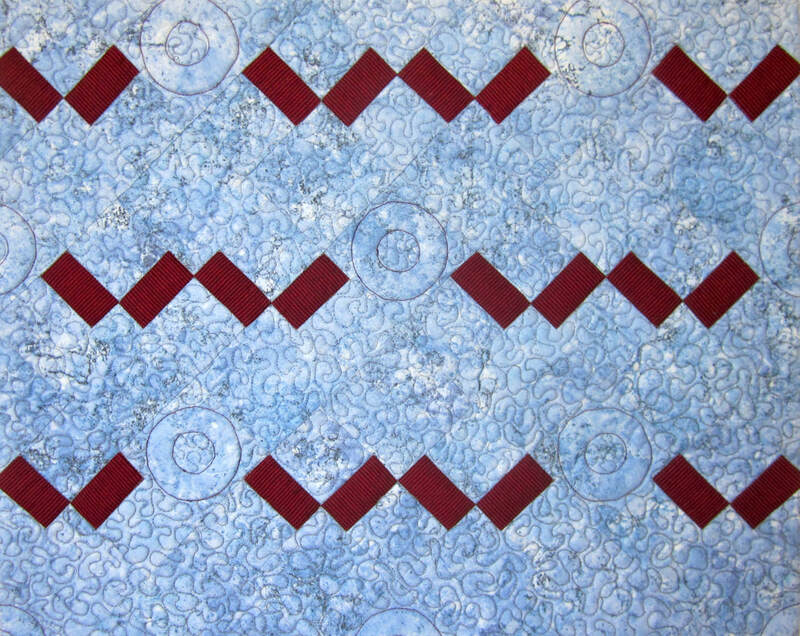 The circles quilted with orange thread form the words WOW across the surface. 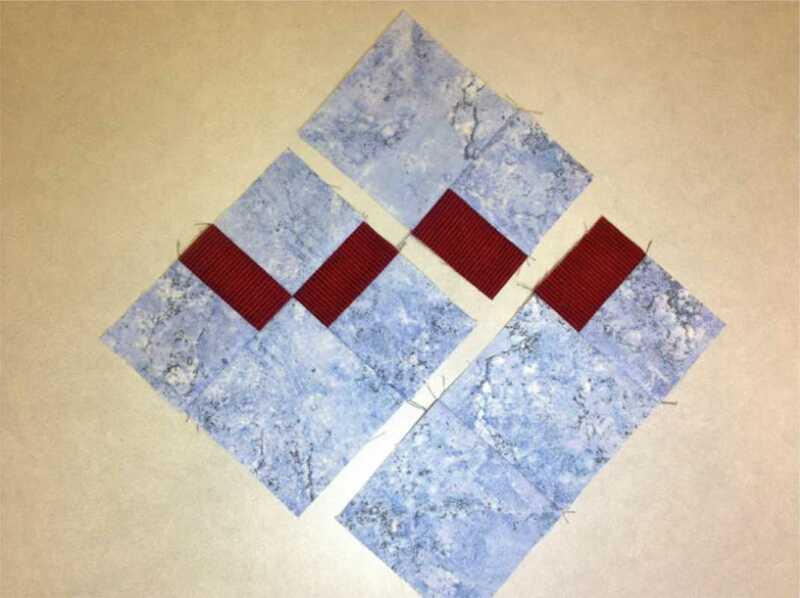 Meander quilting fills the background, popping out the W’s and O’s. ​To purchase the artwork you see here, or to inquire about upcoming exhibitions, teaching or lectures, or purchase any of the fabric kits or patterns, please contact me. I look forward to hearing from you.